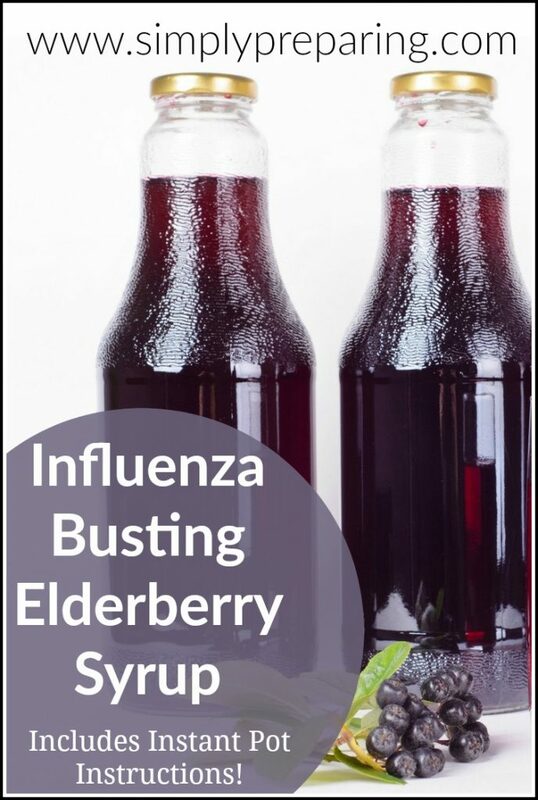 Elderberry Syrup is one of our family’s go to during the sick season. 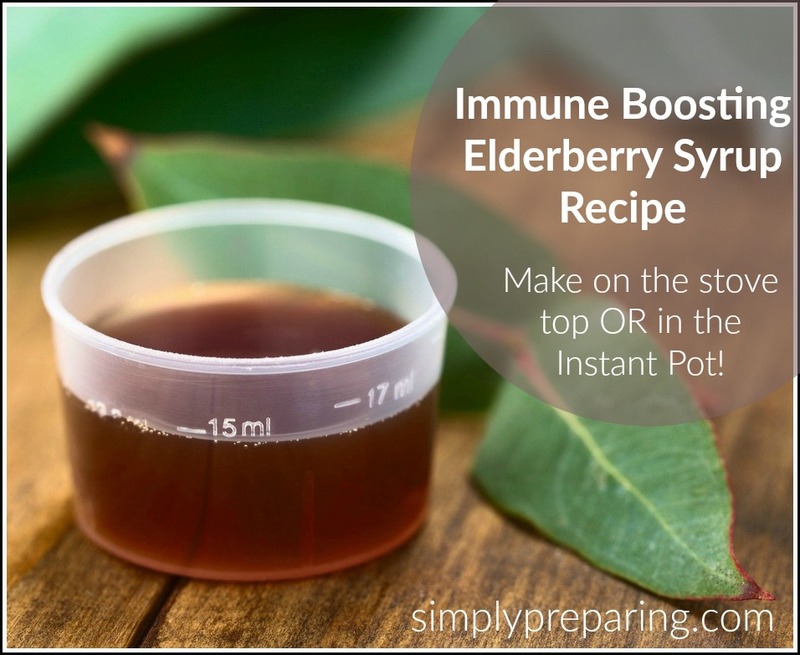 Not only can a Homemade Elderberry Syrup Recipe help your body fight off potential colds and flu, it can help jump start your immune system even after you are sick. And it’s so quick and easy to make in the Instant Pot! Elderberries are naturally high in immune-boosting compounds that are shown to help stimulate the immune system and help you kick the cold and flu more quickly. We are in the midst of flu season where I live, with the worst months being March and April. It’s time to make sure we are well stocked up on Elderberry Syrup. Since I needed to make a batch anyway, I thought I’d share my Elderberry Syrup recipe with you to show just how easy it is to make. 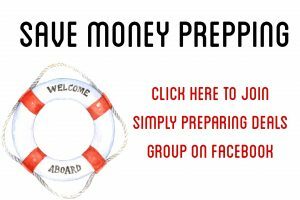 An Elderberry Syrup Recipe That Is Cost Effective. 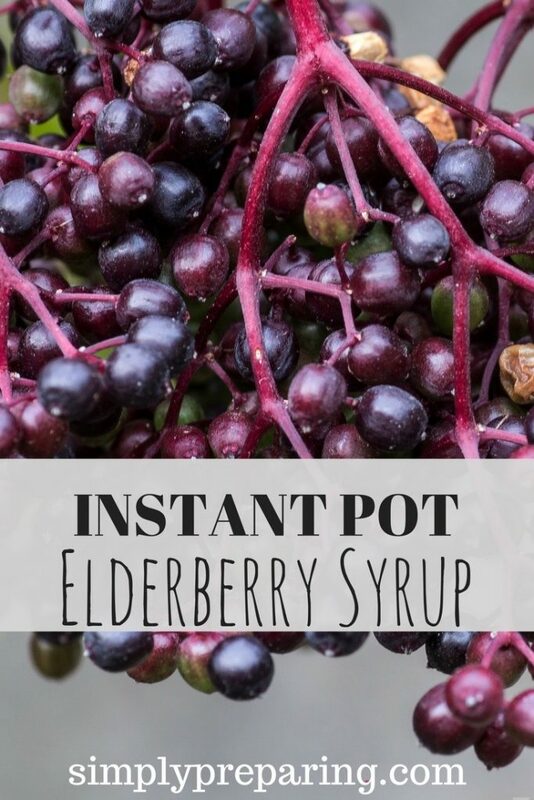 For the same price as a bottle of Elderberry tincture, I can use my homemade elderberry syrup recipe to make several cups of elderberry syrup, that tastes great! I’ve purchased Elderberry tinctures that nobody in my house would touch with a ten foot pole they tasted so bad. This recipe not only tastes fantastic, it will make your house smell heavenly. Score! Pro Tip: No time to make your own elderberry syrup? Need an immune system jump start? I suggest trying the Black Elderberry Syrup by Nature’s Way. 1 Cup Organic dried black elderberries. I like both Frontier Herbs and the Organic Bio Herbs Organic Brand. 1/2 Cup raw honey My parents rent out some of their land to a bee keeper in return for fresh honey. It’s what I used. No access to your own bee hives? No worries, these guys will do you proud! PRO Tip: You could switch out the lemon juice for dehydrated lemon peel OR orange peel to switch things up! Add the dehydrated lemon or orange peel to the Instant Pot with the rest of the ingredients. 1. Add all of the ingredients EXCEPT the honey and lemon juice to your Instant Pot pressure cooker. Secure and lock the IP lid in place. 4. When done, allow to naturally depressurize. 5. Strain off and discard the elderberries, ginger and spices. Then toss them in the compost pile! 6. Allow to cool before blending in honey and lemon juice. Remember, adding the honey and lemon juice to the hot syrup will kill off all of the honey’s beneficial enzymes. 7. Add honey and lemon juice and stir until blended. 8. Store in a glass jar in the fridge. 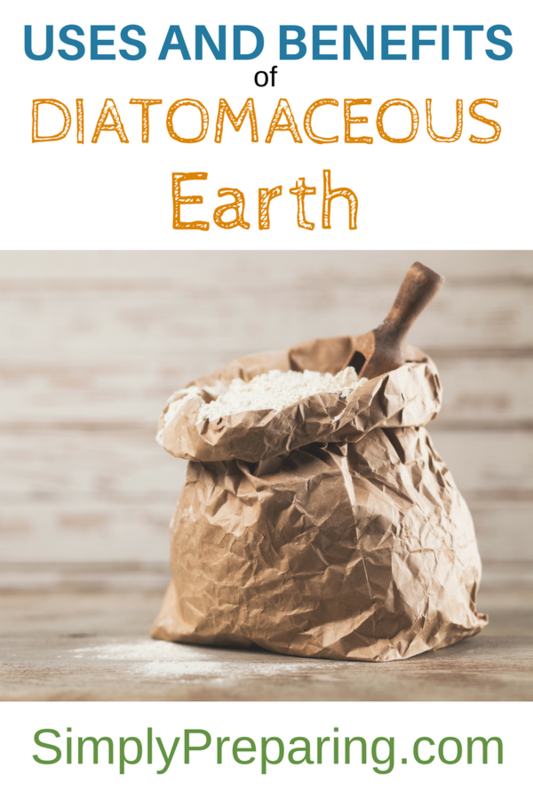 Tip: The recipe above uses DRIED berries. If using fresh, I would decrease the IP time to around half. Our family takes the standard daily dose which is 1/2-1 teaspoon for kids and 1/2-1 Tablespoon for adults. If we do get sick then we up our dose to every 2-3 hours instead of just once a day until we are better. Elderberry syrup is a pretty gentle remedy. I’ll always advise to check with a doctor when giving it children. 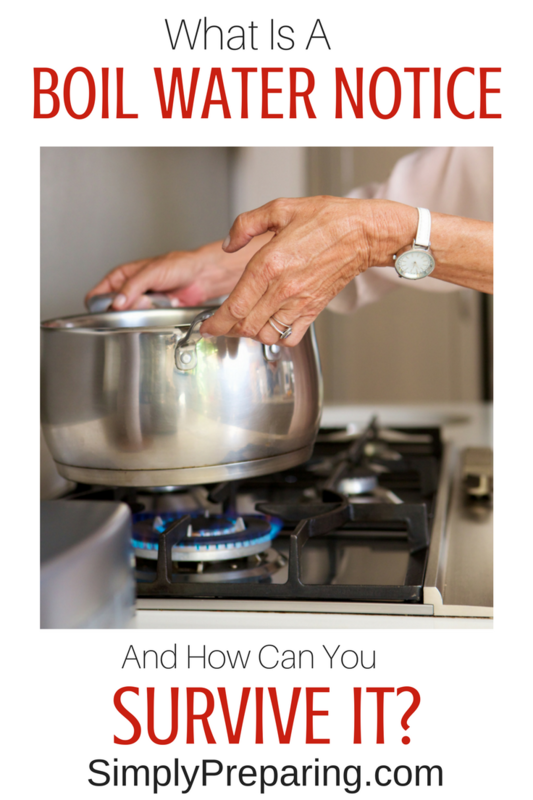 What natural home remedies do you make for your family? Would you reduce the liquid if using frozen berries? Thanks. Any idea how to make this with elderberry concentrate??? My best suggestion would be to reconstitute your concentrate to only half strength or so, and then add the other ingredients. But I’ve never done this with concentrate before. Good luck! I would put everything except the honey and the lemon juice in a large pot. Bring the contents to a boil, and then reduce to a simmer for 30-40 minutes. I have fresh elderberries frozen in my freezer. How much would I use for this recipe? I would decrease the time in the Instant Pot to 10 minutes, and then increase the berries by about half. I’ve never used fresh berries before, but this is where I’d start. Do you know how long this will keep in the fridge? To be on the safest side, I’d recommend leaving only about a 2 week supply in the fridge, and freezing the rest. The unthaw as needed. I’ve frozen mine in ice cube trays before and it’s been a good solution. If I were to buy dried berries and store them in case I need to make the syrup, how would you store them and how long would they be good for? Good question! You could store them in a mason jar that you’ve sealed with a Food Saver. Or in a jar with with a oxygen absorber. 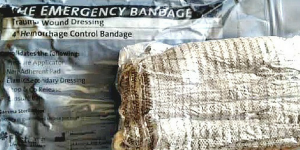 I have items stored in a mylar bag that I’ve added an oxygen absorber to, pressing out all of the air, and then sealing with an iron. Your main goal is to keep them dry and to prevent a lot of exposure to humidity through the air. I hope that gives you a few ideas! If not, check back and we’ll brain storm some more! If you had someone in your family that was allergic to raw honey (like beginning stages of asphyxiation), would you use regular honey or forego honey all together? I know that honey helps to soothe some ailments, so not sure if this was for that, or to sweeten up. I would totally forgo the honey!